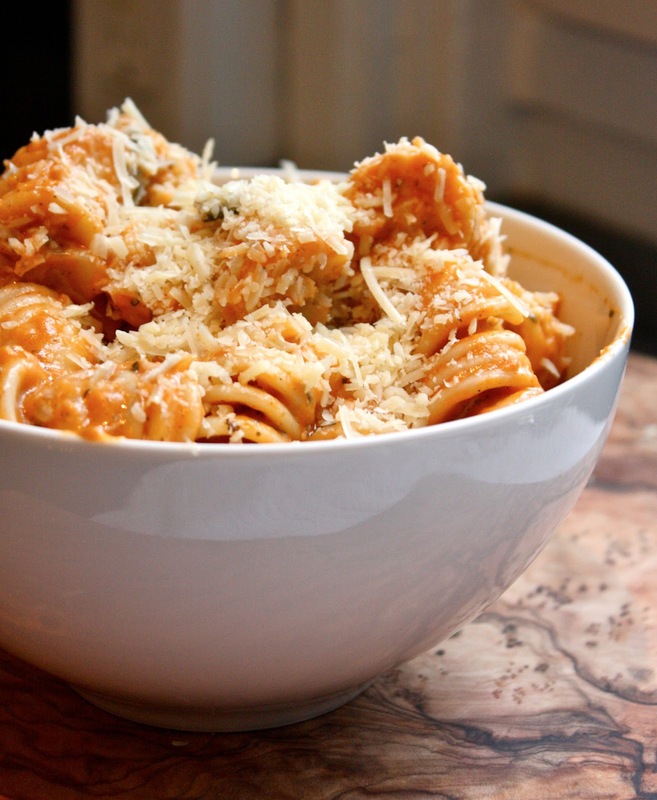 This pasta looks like pure delicious comfort! It's already shorts season where I live! 80 degrees baby!!! Thanks! The pasta shape is called fusilli, isn't it fun?! Half and half is a mixture of equal parts milk and heavy whipping cream — if you can't find it at your grocer, just mix together half milk and half cream. YUM! Let me know how you like it! Spring fever is so real, and it's the worst when it's 70 and I'm writing papers and studying for finals! 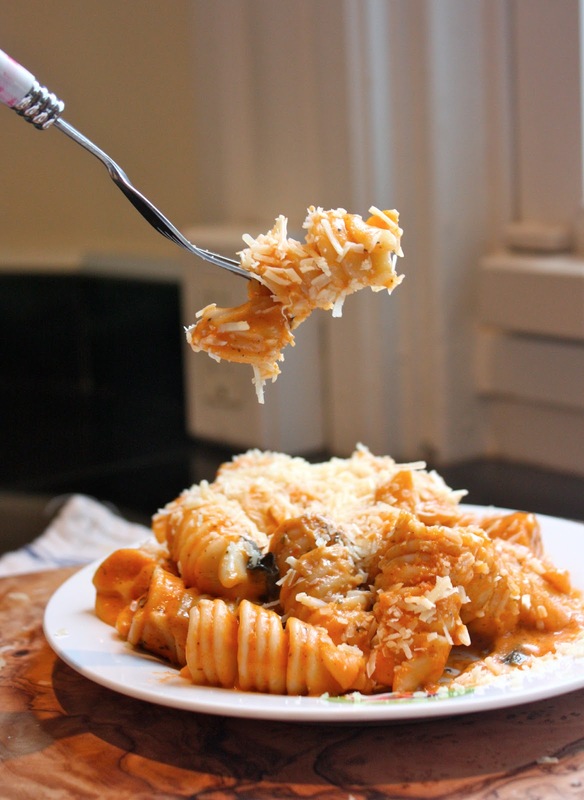 However, this sounds amazing, and I love that pasta shape. For whatever reason, this sauce reminds me of Pat & Oscar's Tomato Fredo, and that's soooo good, so clearly I need to try this, because it's probably even better. Pinned! I love this! Stunning pictures, and I love creamy pastas. It's quite weird actually, it's currently fall in Australia, and it's getting more chilly! So I'm quite jealous that you have all the nice warm weather. That's so funny that the seasons are flipped! Do you have finals now or in the spring? This dish is perfect for welcoming spring. Tomatoes and basil leaves have never looked so heavenly. Thanks! It serves 4 heartily.